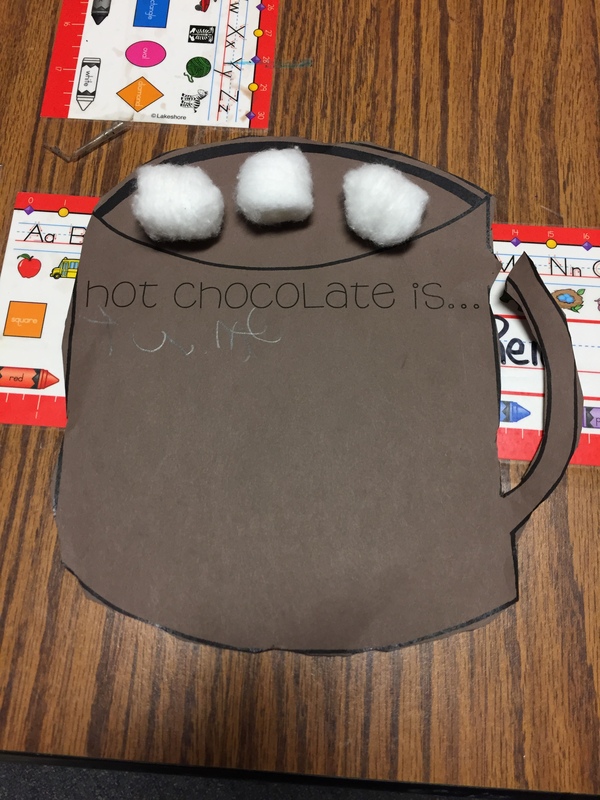 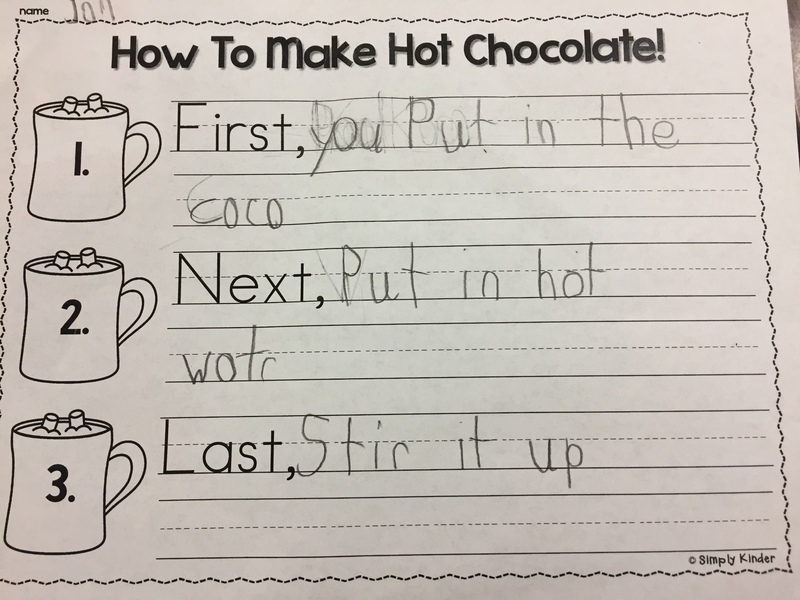 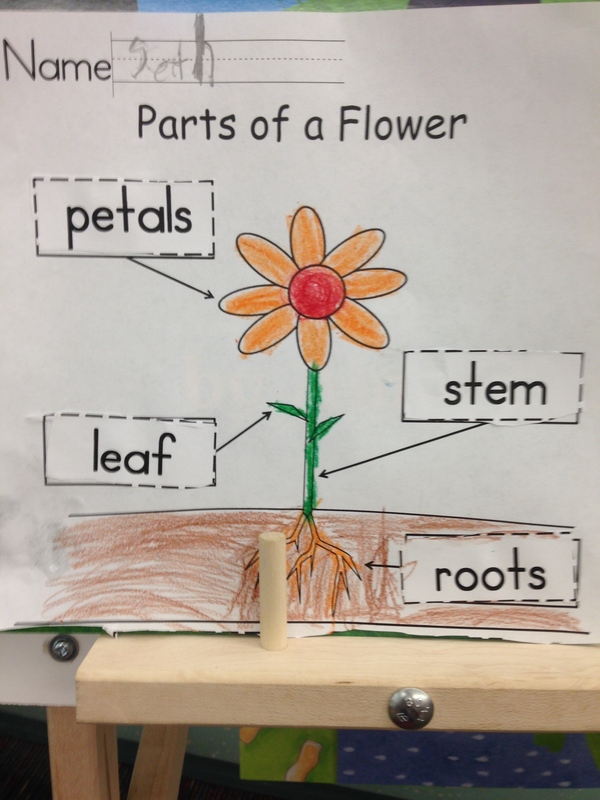 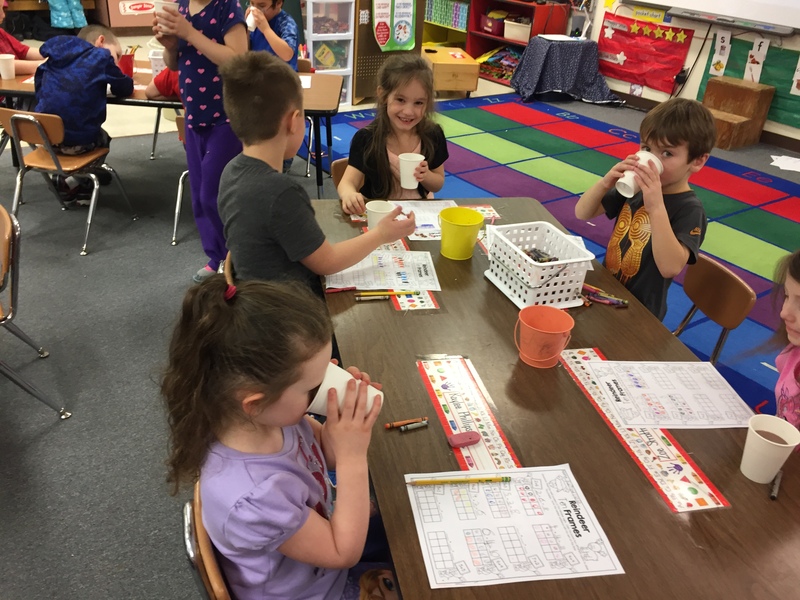 This week in our reading program we’ve been learning about plants, and the letter f.
So to celebrate we learned about the parts of a flower, even though we usually talk about this during spring time. 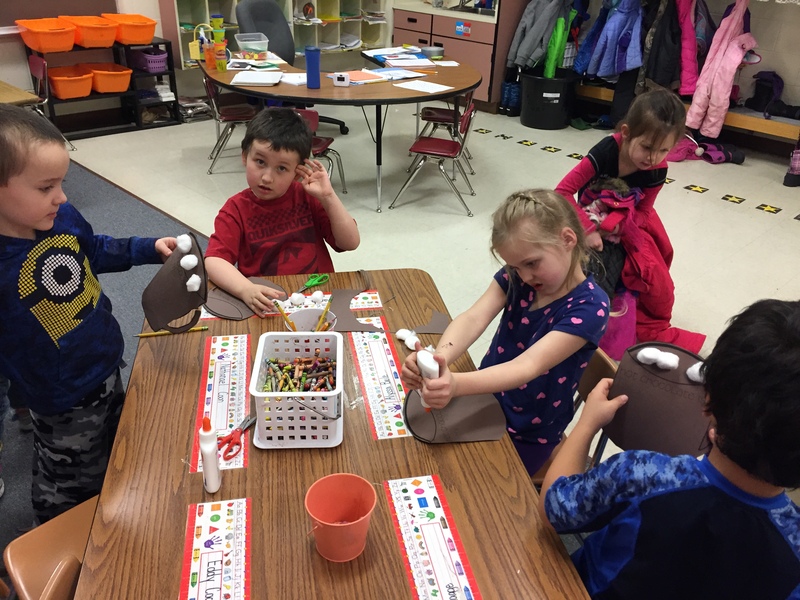 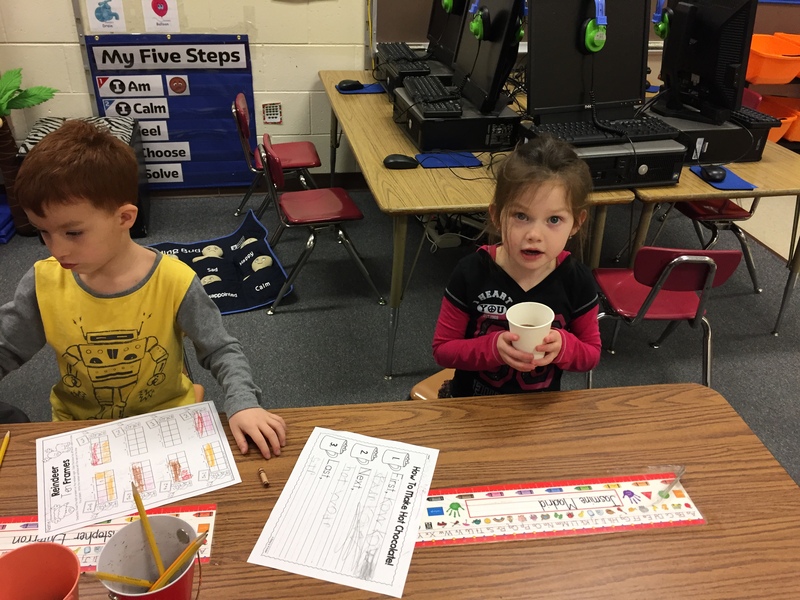 We started off watching a few videos on plants growing and we sang the song “Flower, Stem, Leaves, and Roots” a song sung to the tune of “Head, Shoulders, Knees, and Toes”. 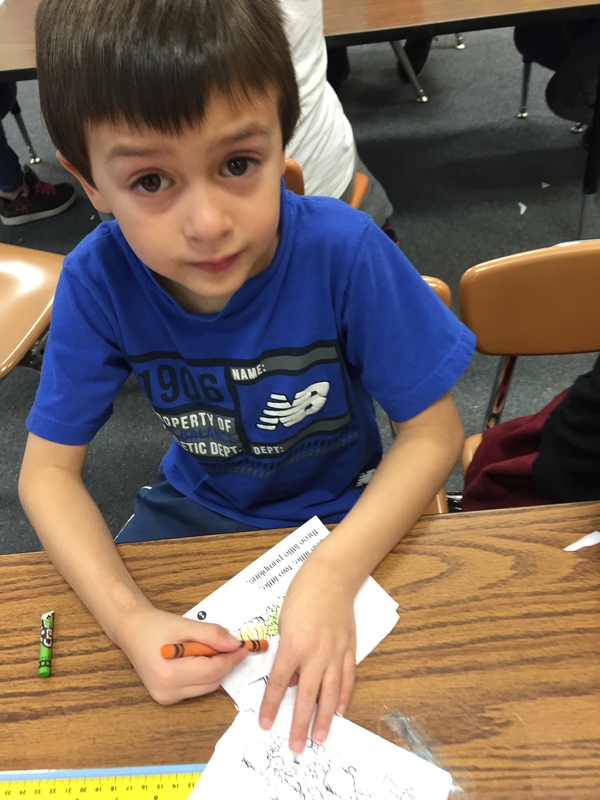 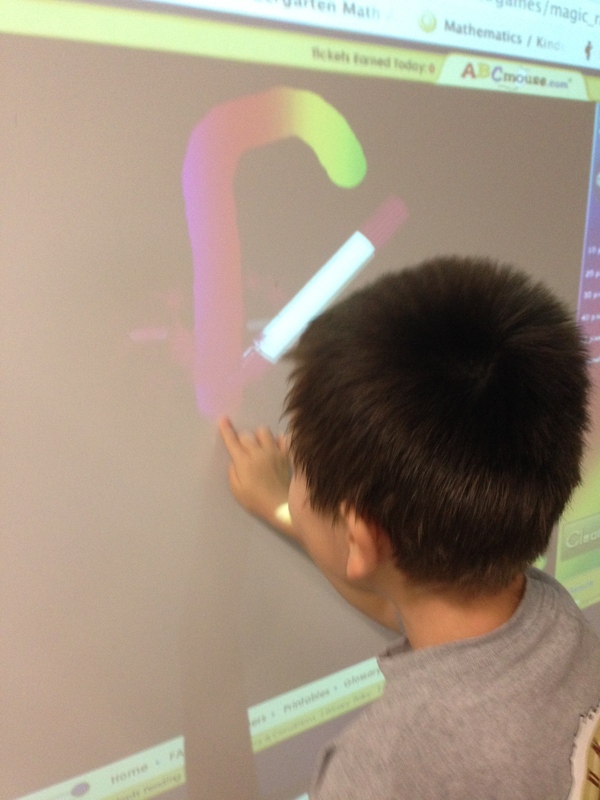 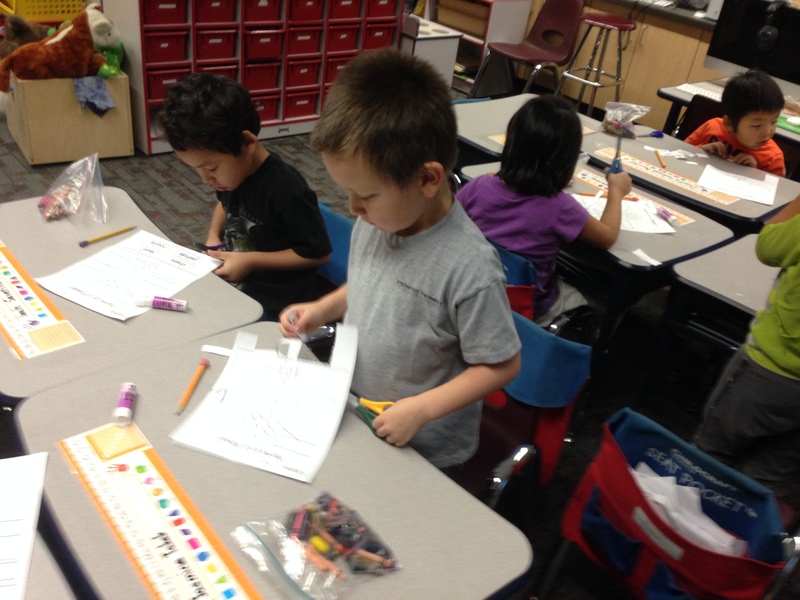 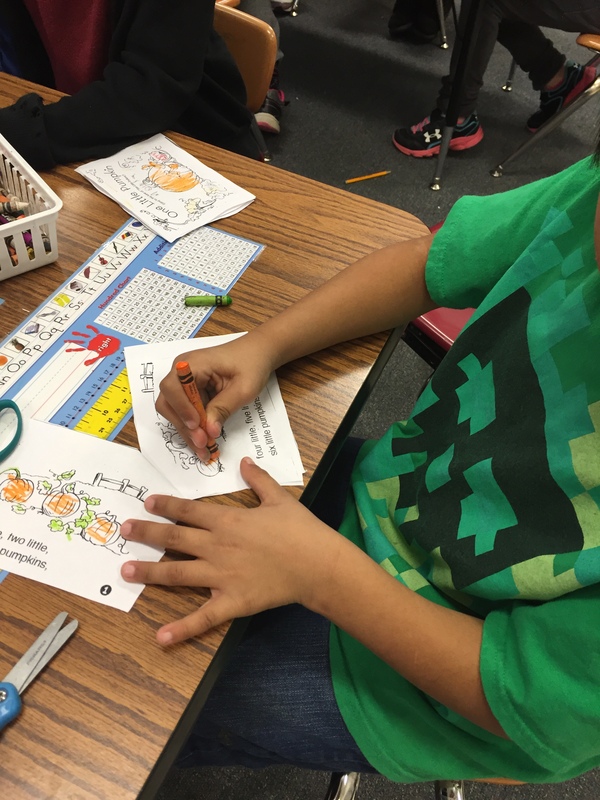 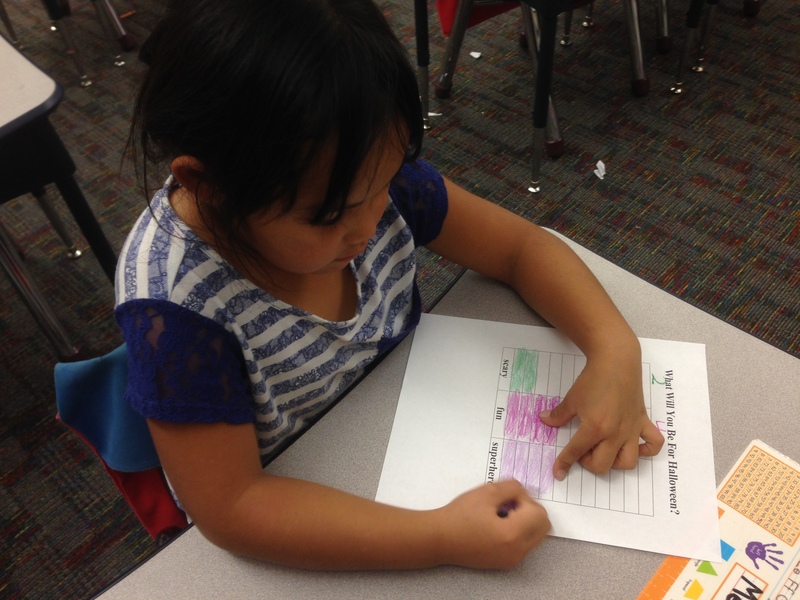 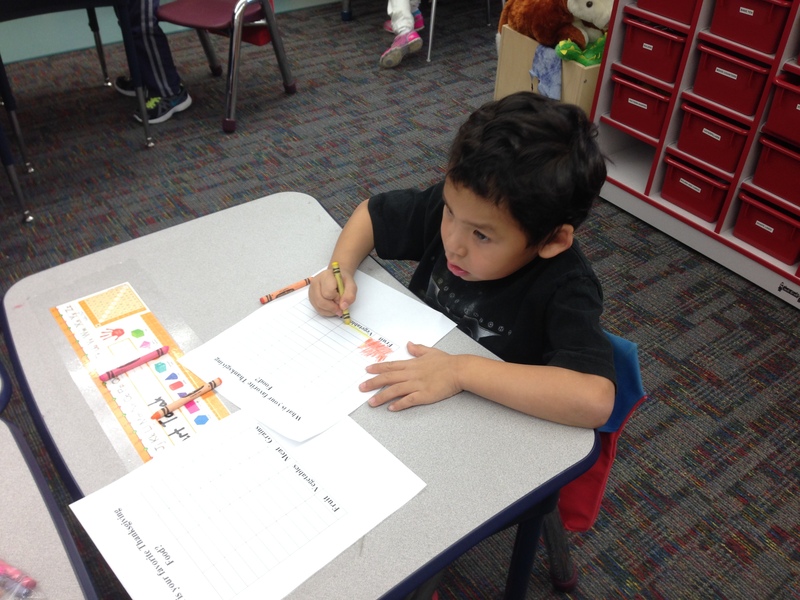 Then we did a cut and paste activity by labeling parts of a flower and decorating our flower. 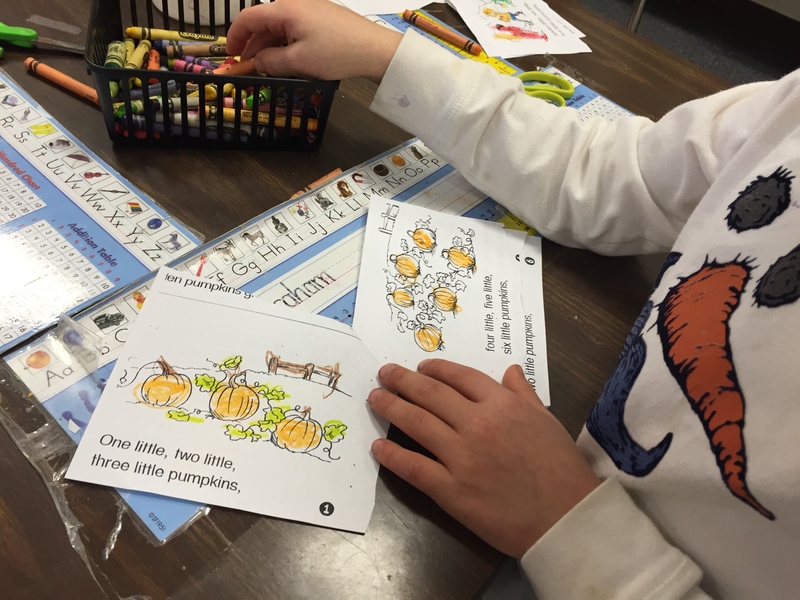 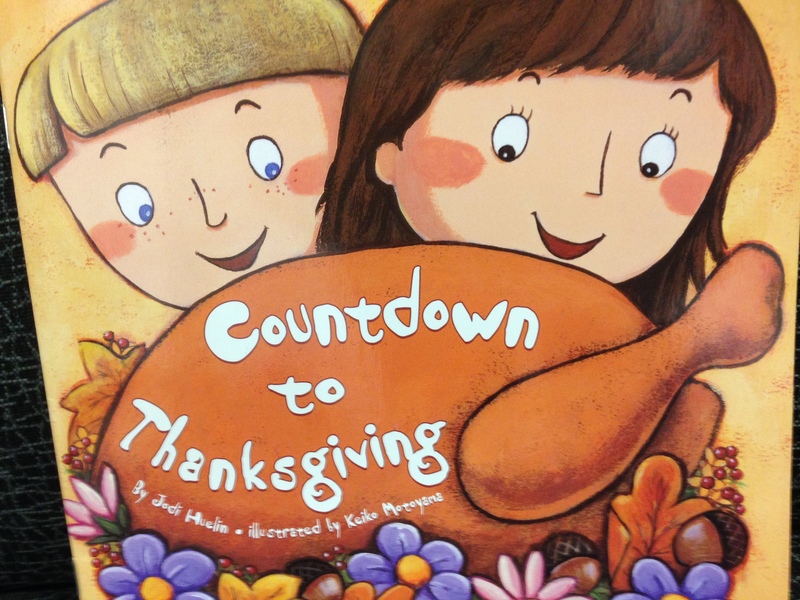 Then as Thanksgiving draws closer, for math, we read the story Countdown to Thanksgiving and practiced our number recognition as we read the book. 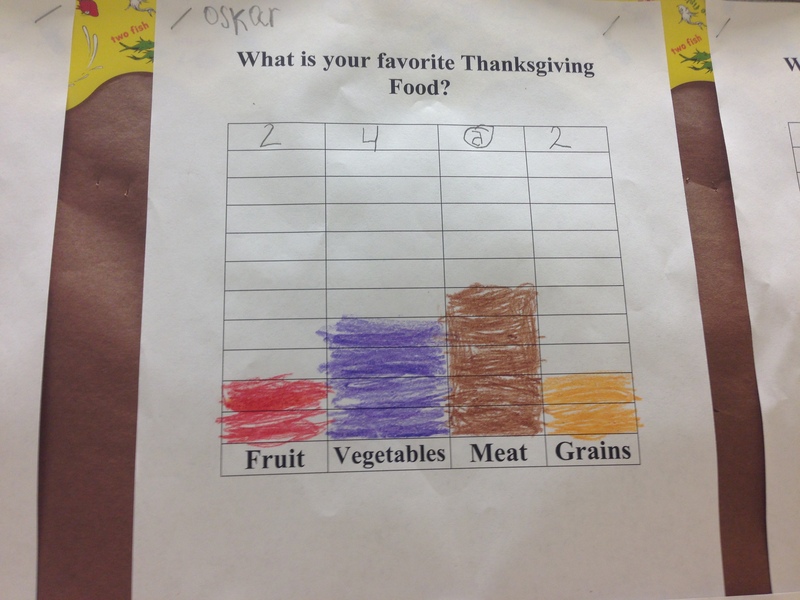 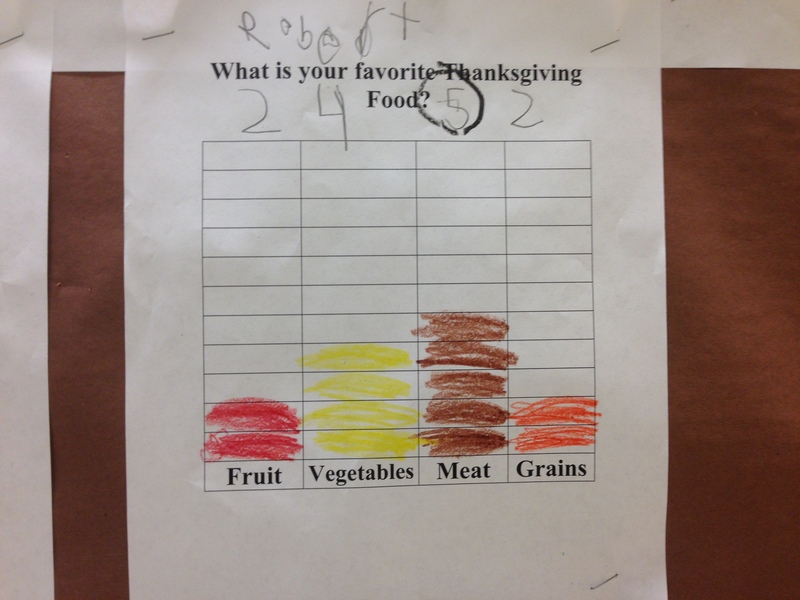 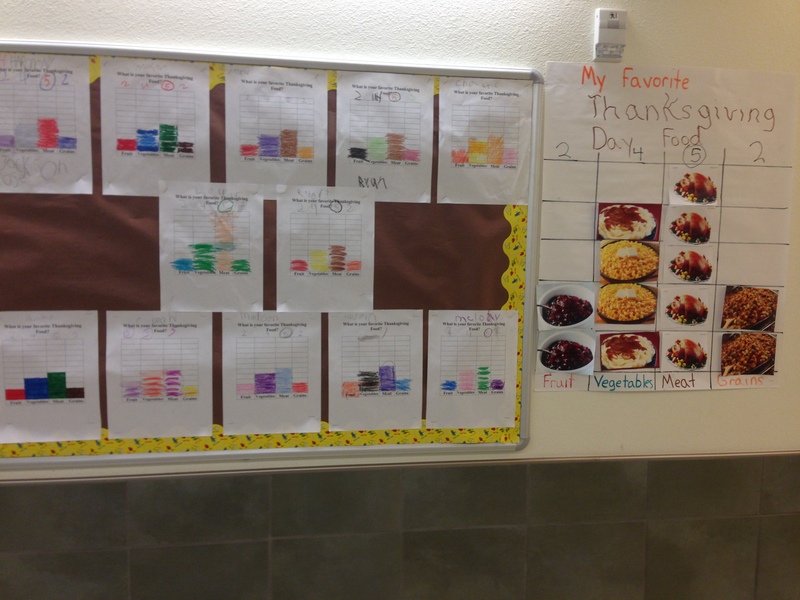 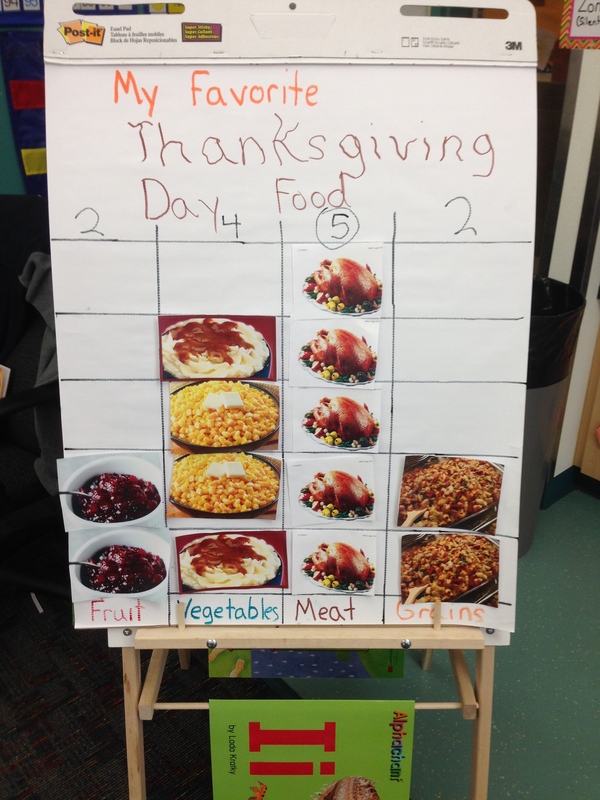 To celebrate the letter F we talked about our favorite thanksgiving foods and made a graph about what food group the food belongs to. 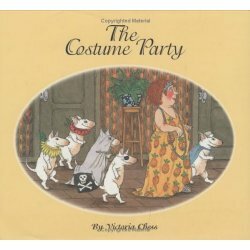 On Friday we read the story The Costume Party by Victoria Chess. 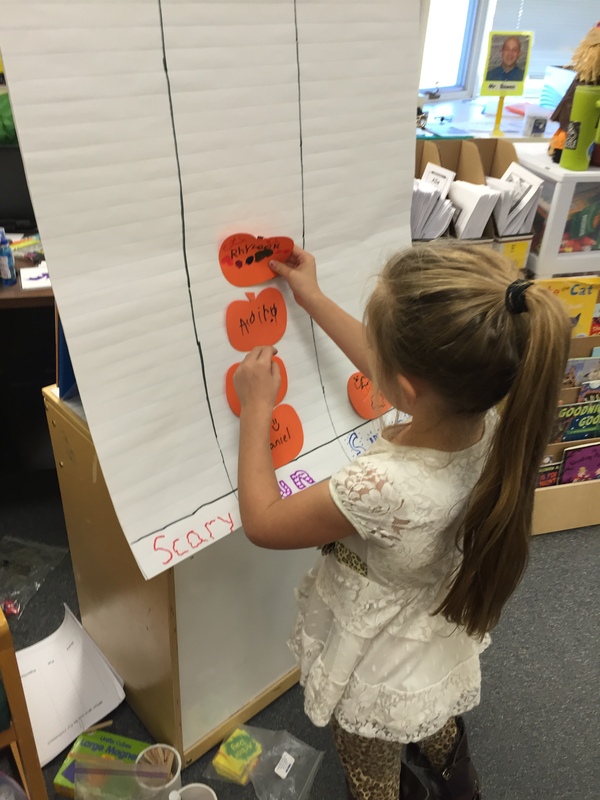 To continue on our study about character’s we discussed the different character’s of the story and what costumes they picked to wear to the costume party. 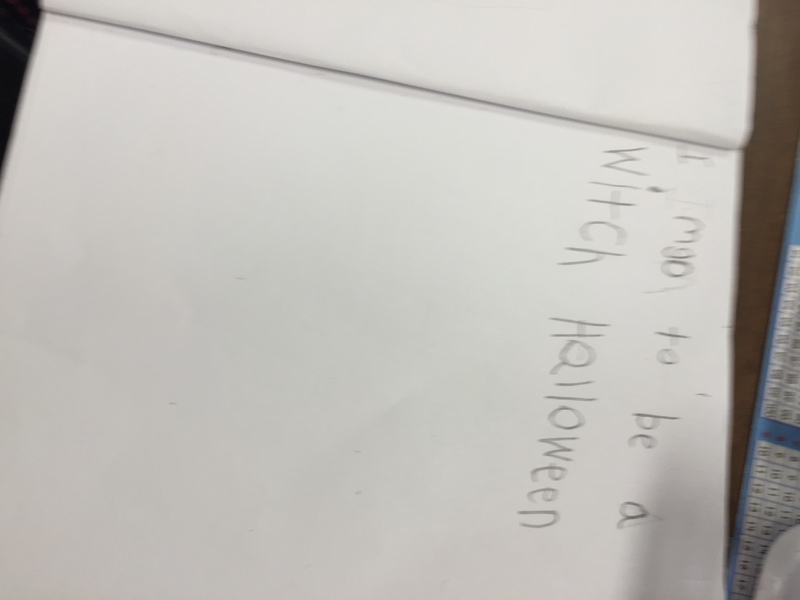 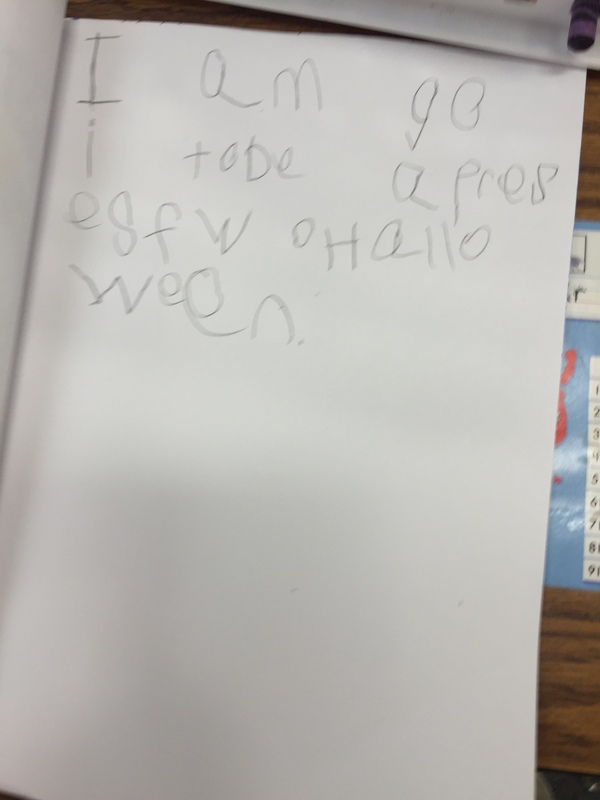 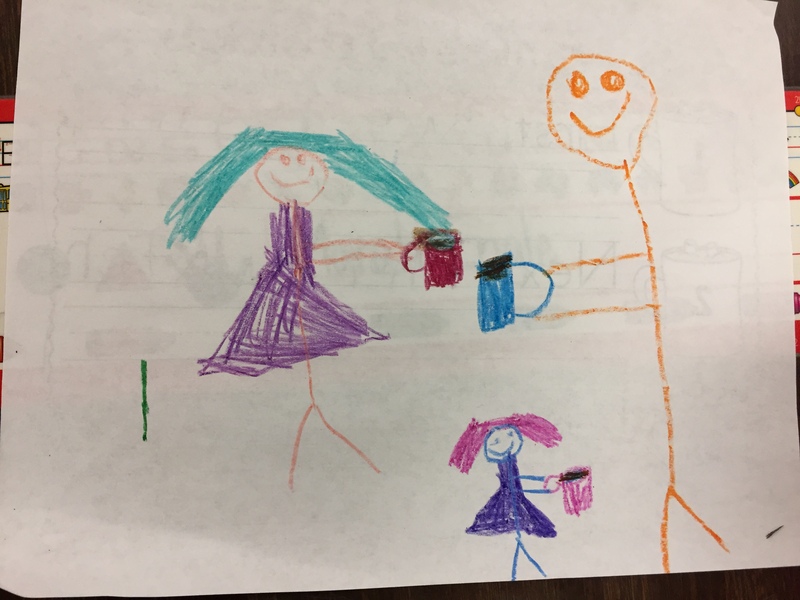 We then made a connection to the story and talked about how we will have a costume party in our class on Halloween Day. 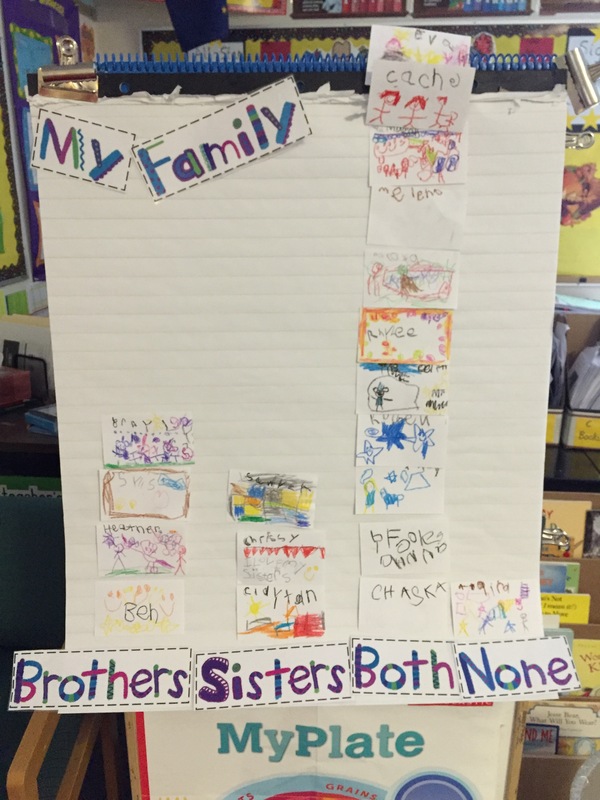 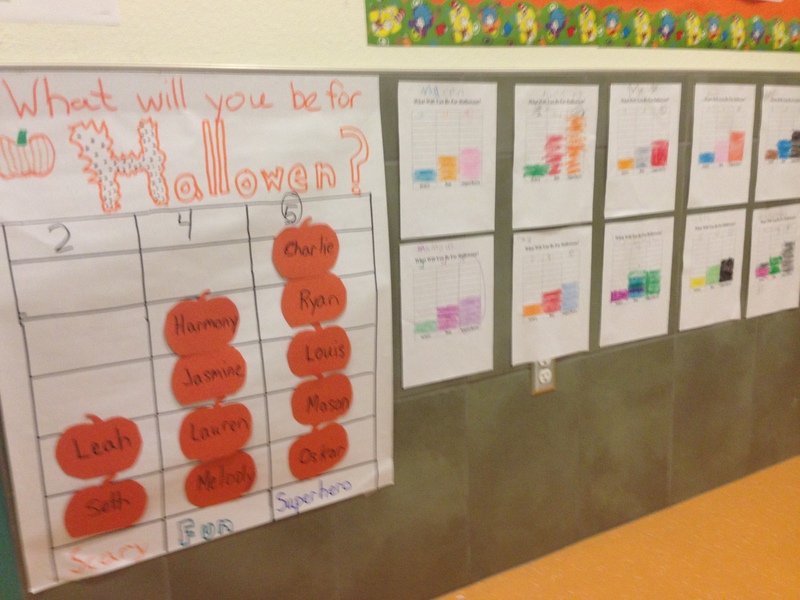 We created a class graph as a class discussing what kind of costume we will wear to our Halloween Costume party. 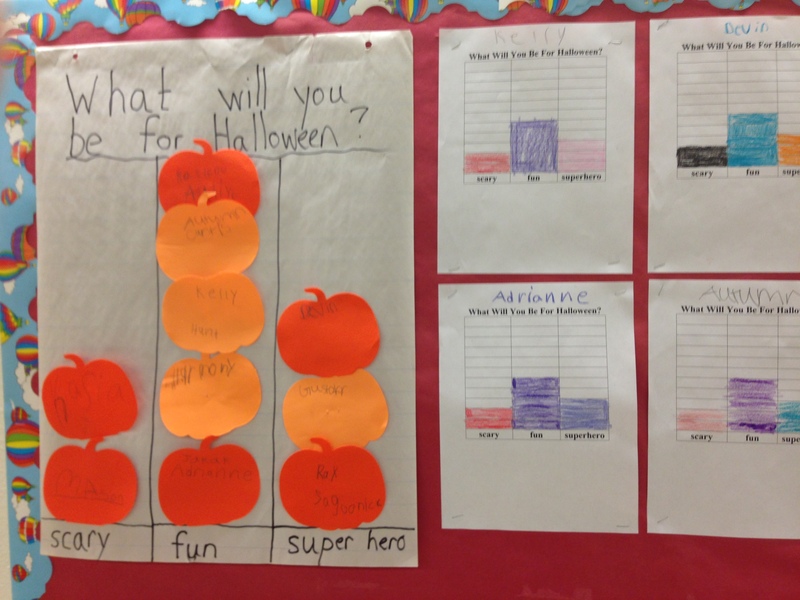 We also talked about which category has the most students in it. 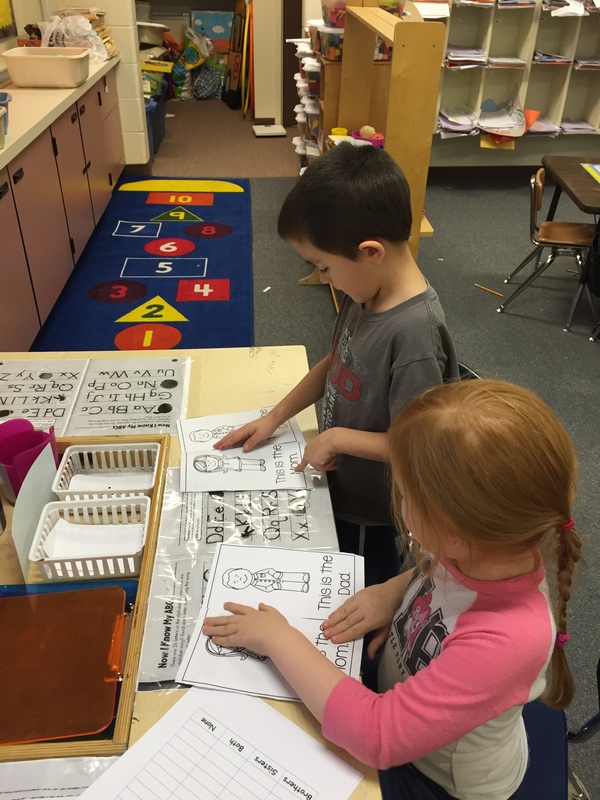 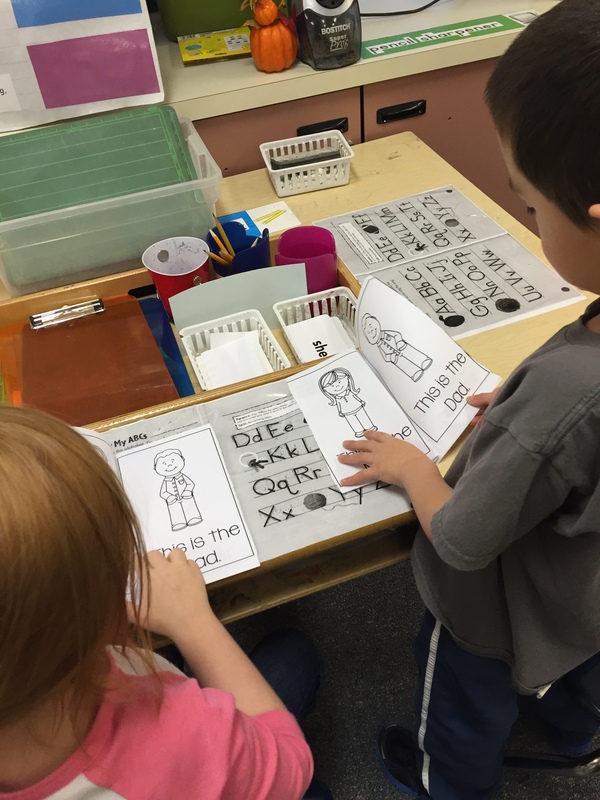 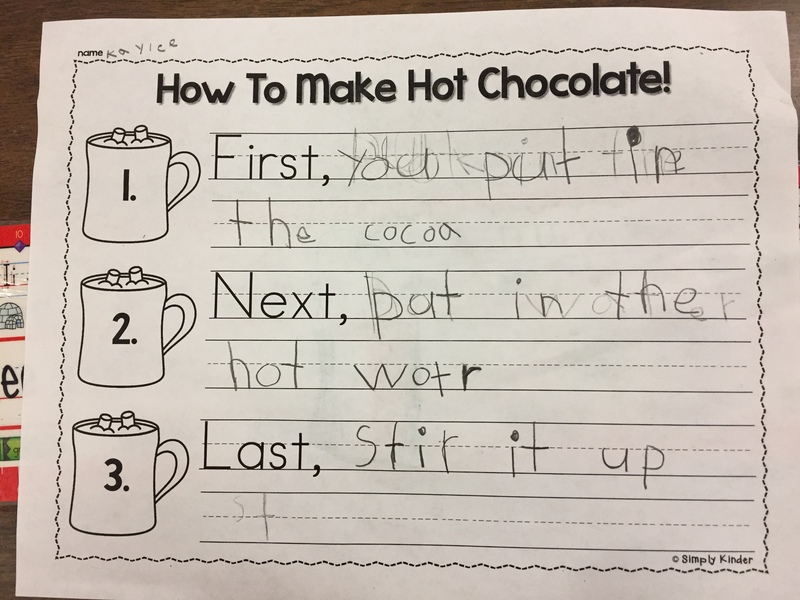 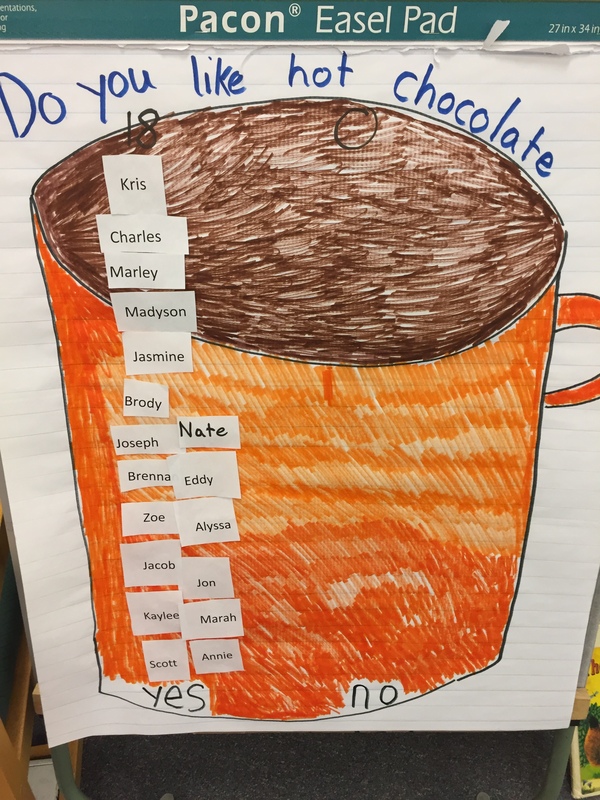 As part of our new reading program I have been trying to incorporate a new routine that seems to be working with creating more independent learners and is student driven. 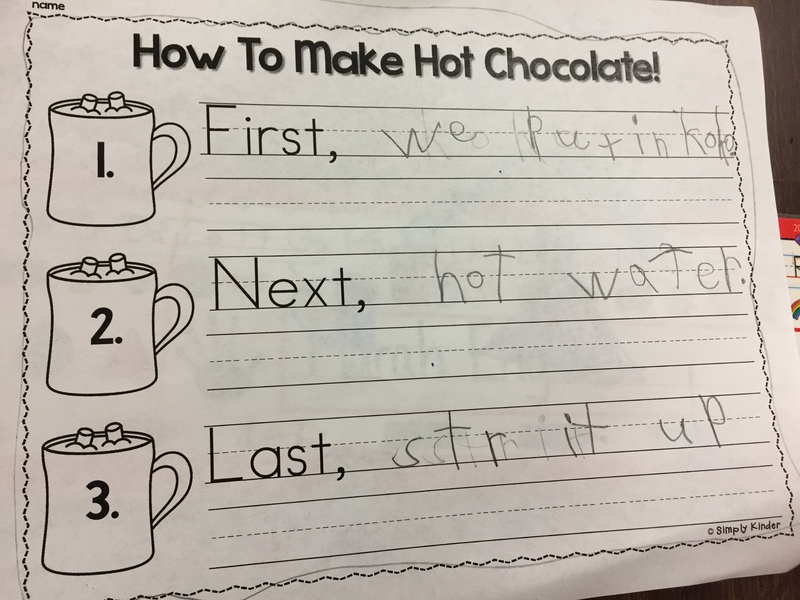 This routine is called The Daily 5. 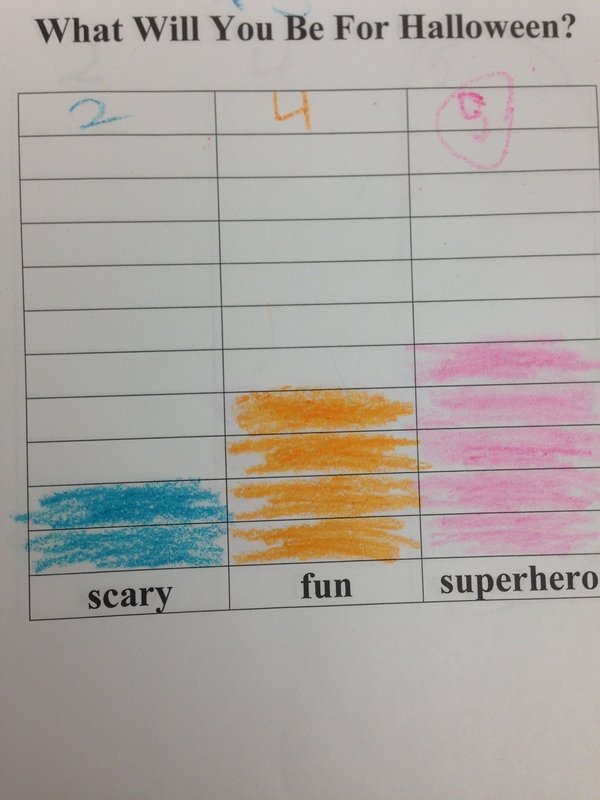 Everyday during our reading workshop block I try to structure our activities around these 5 basic routines. 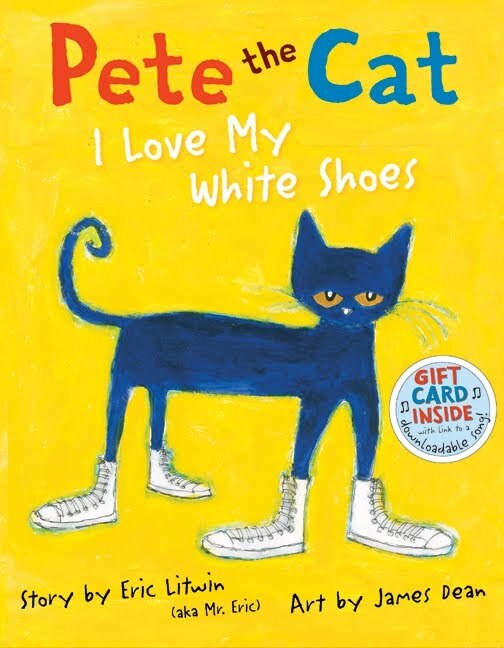 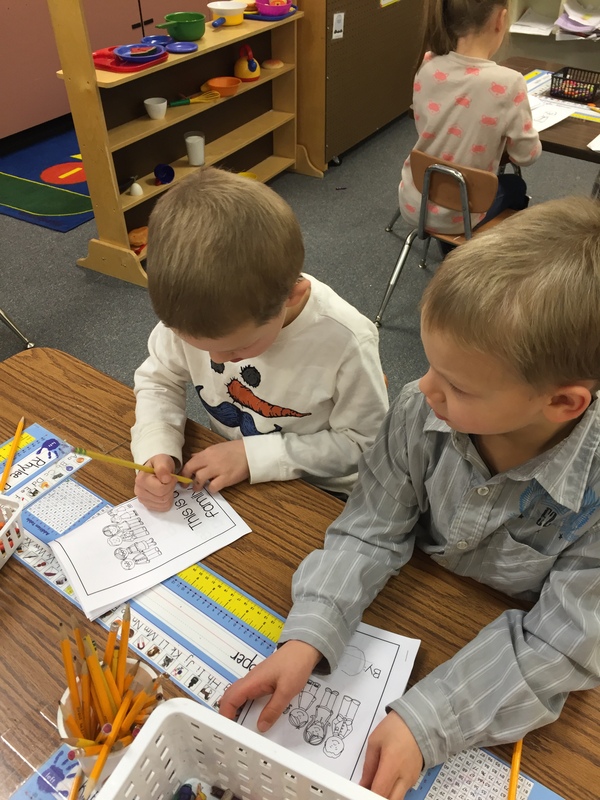 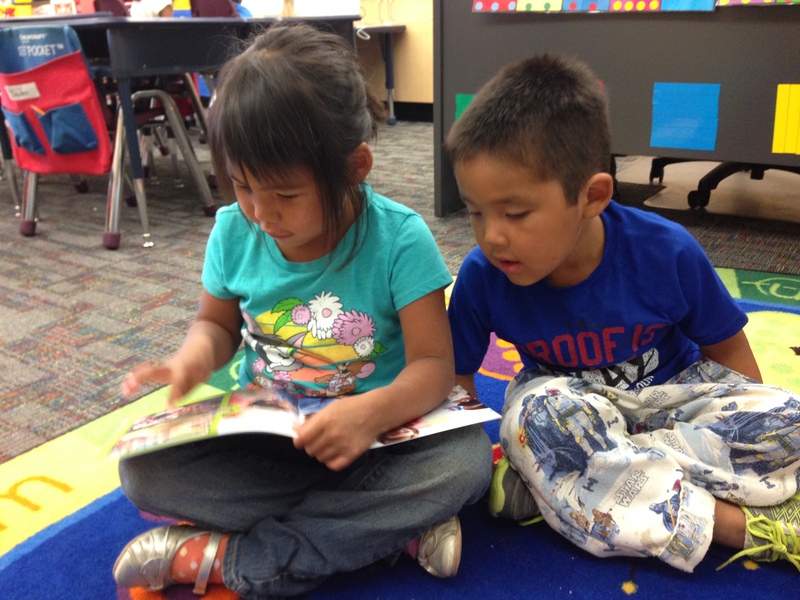 During our whole group time we read the story Pete the Cat: I Love My White Shoes By Eric Litwin. 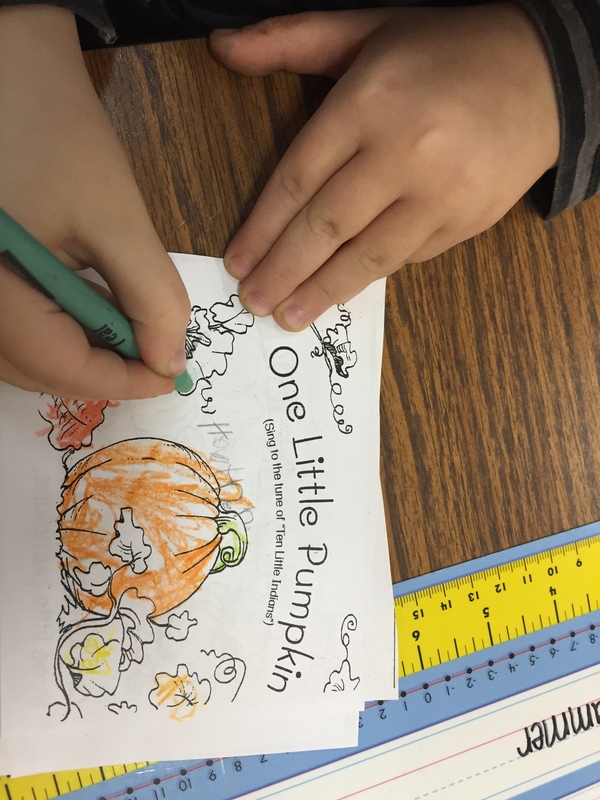 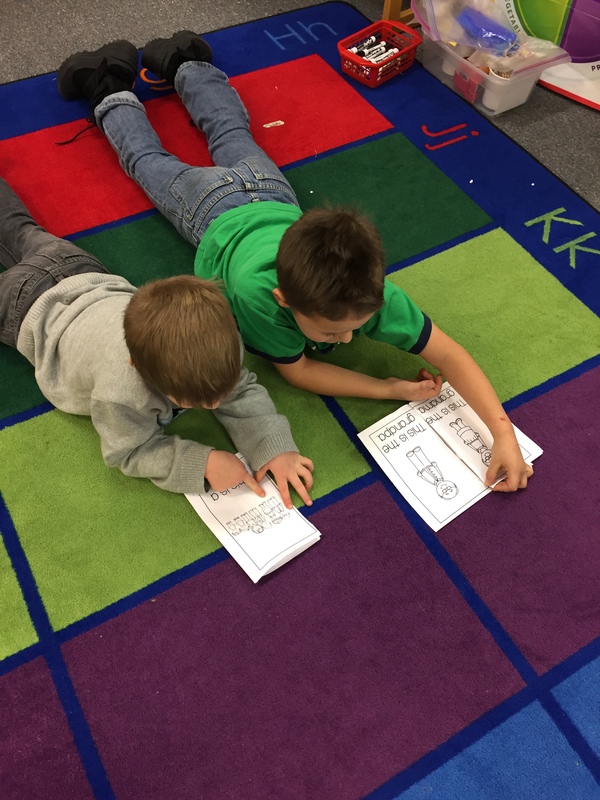 Then students practiced reading accompanying color books from our reading program and Reading A-Z based on the leveled readers in. 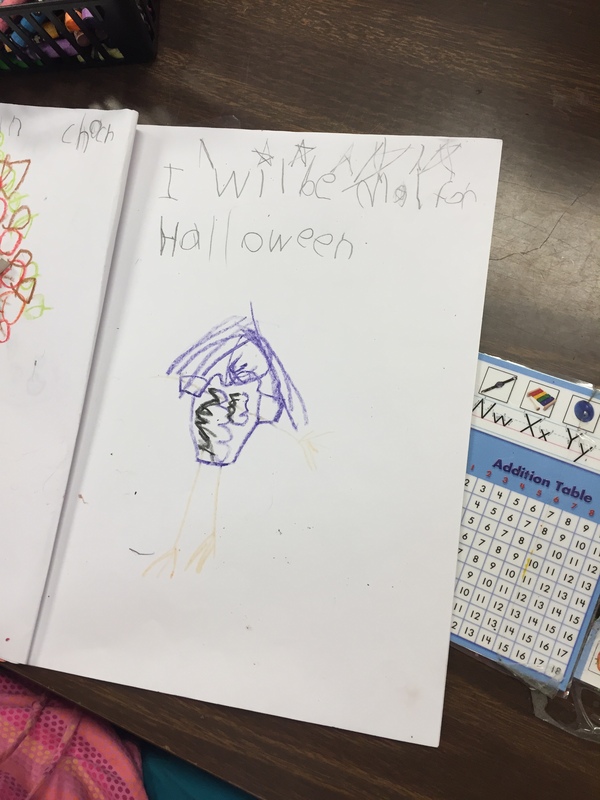 Students are able to independently these books because they have had practice reading these books before and they are on their level. 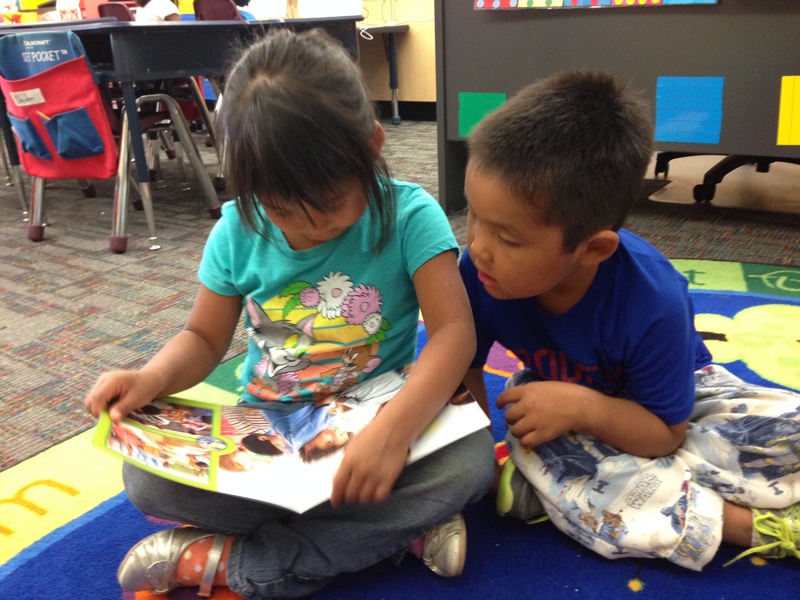 Shown below are pictures of read to someone. 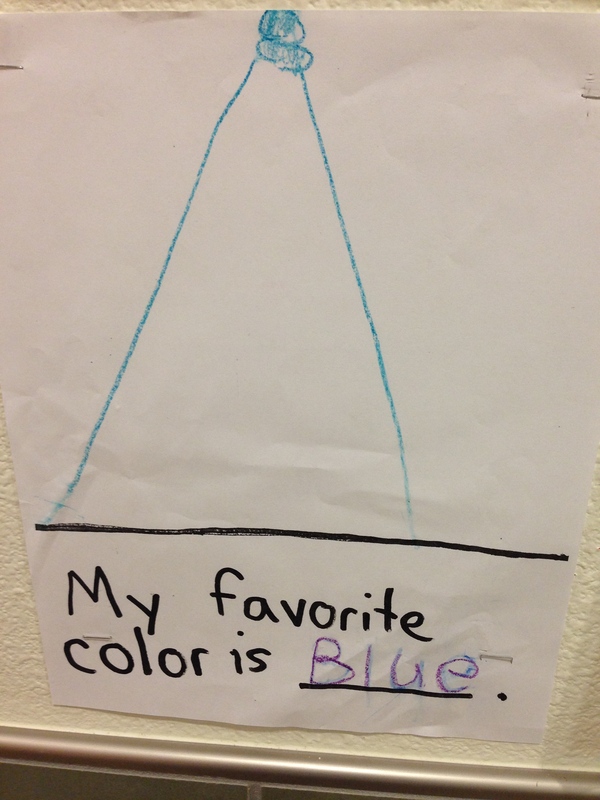 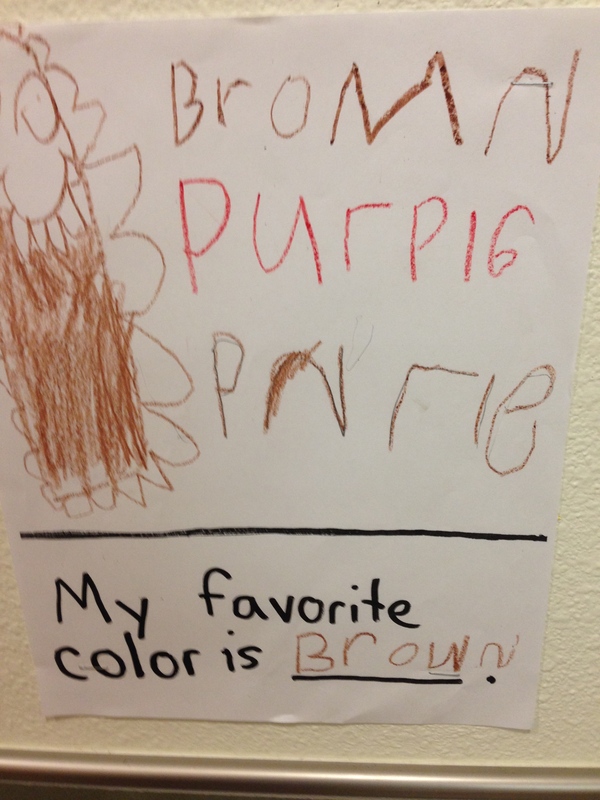 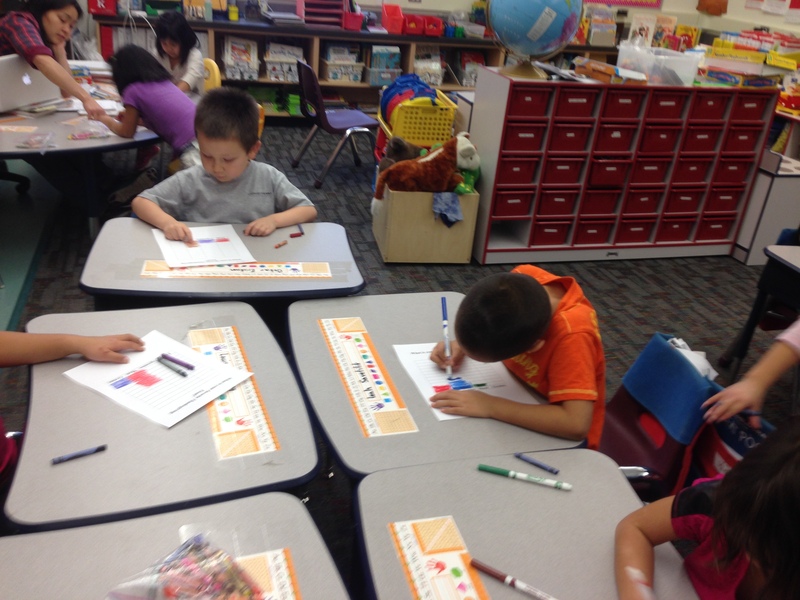 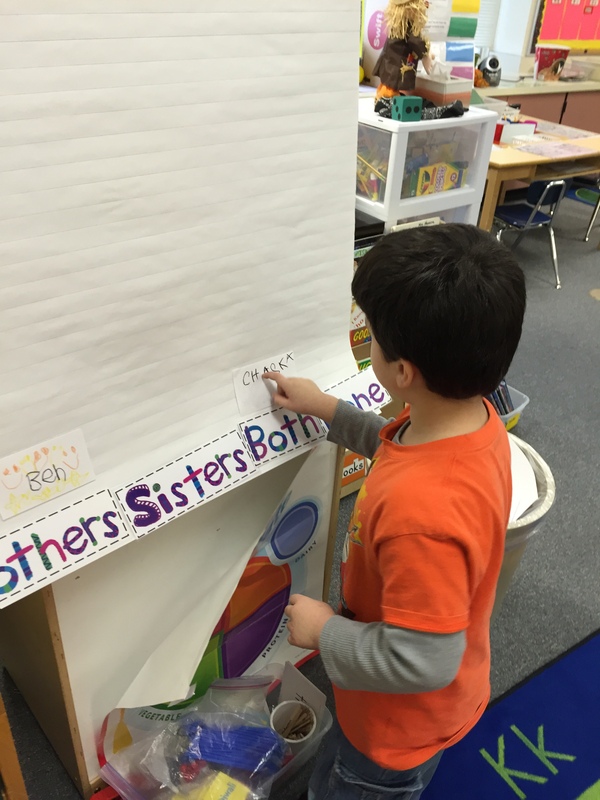 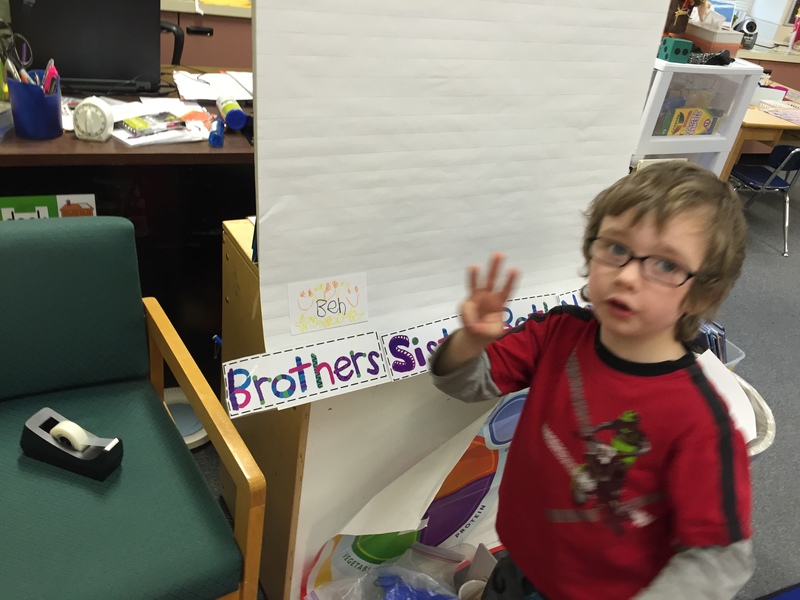 For work on writing they wrote and drew a picture about their favorite color using displayed color words at a center. 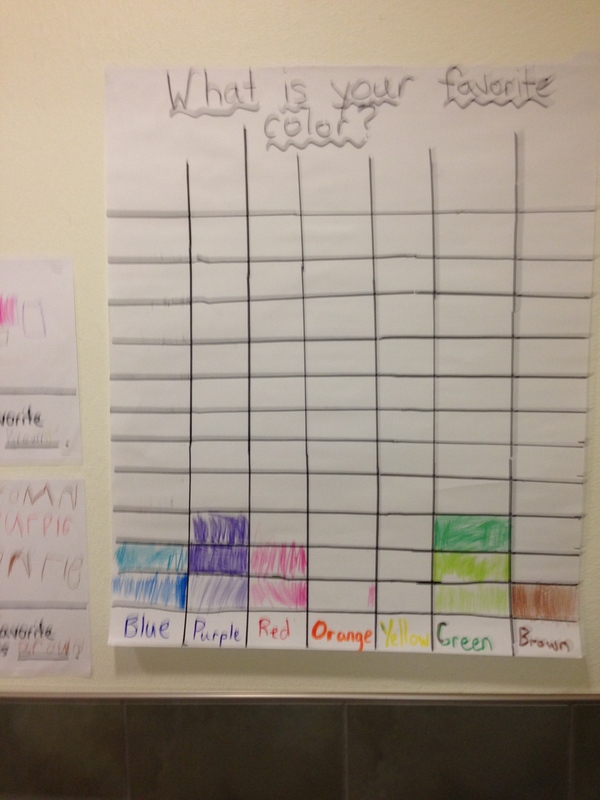 As a class we created a bar graph. 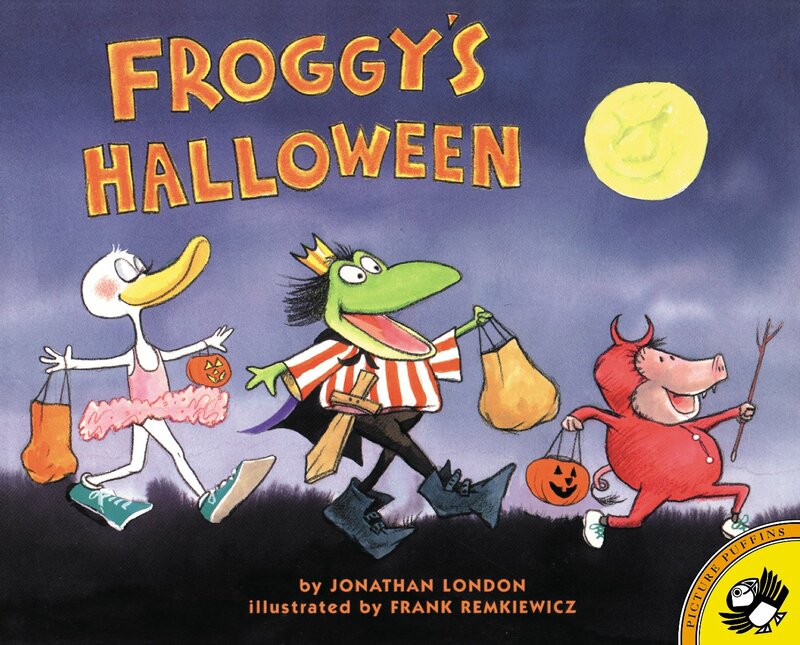 For one of our read out louds we read the story The Costume Party by Victoria Chess. 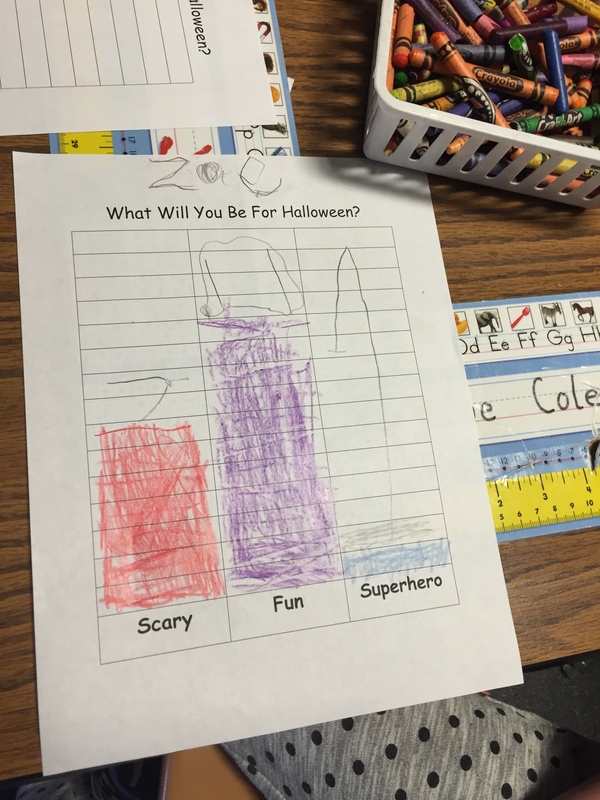 As a class we discussed how Halloween is coming up this month. 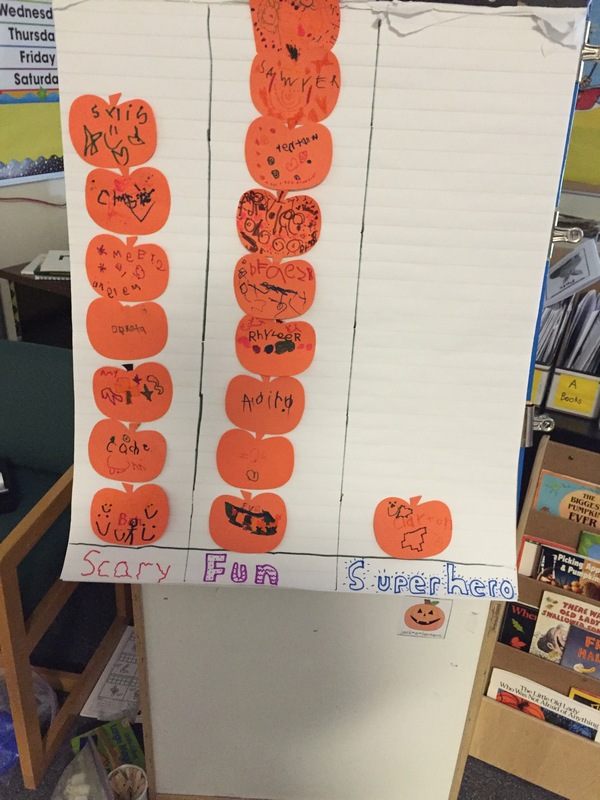 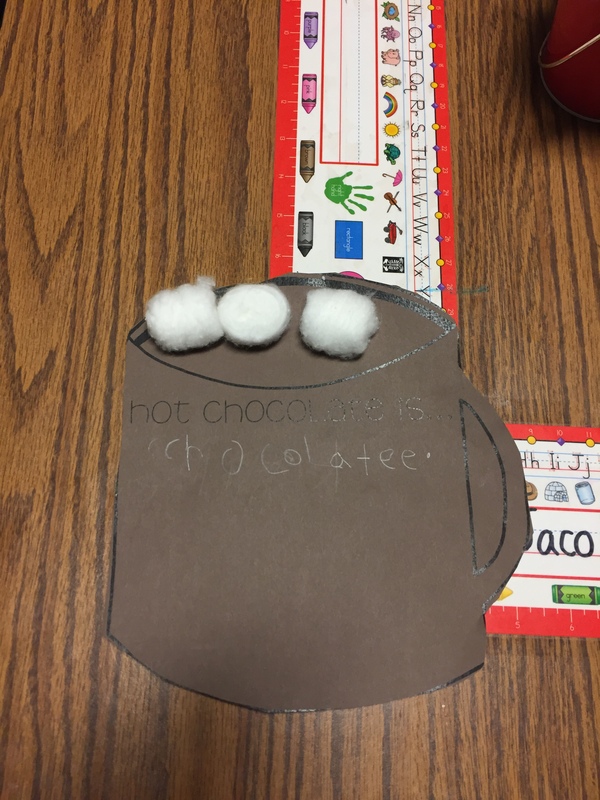 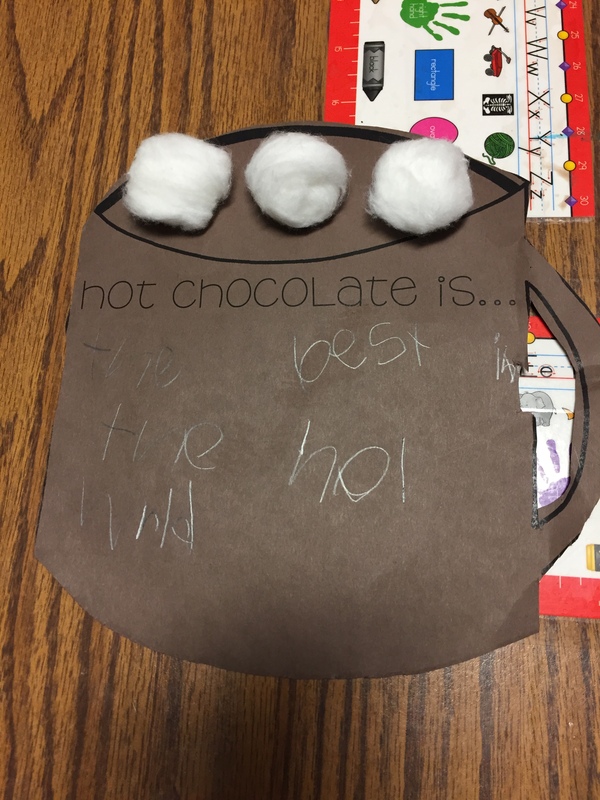 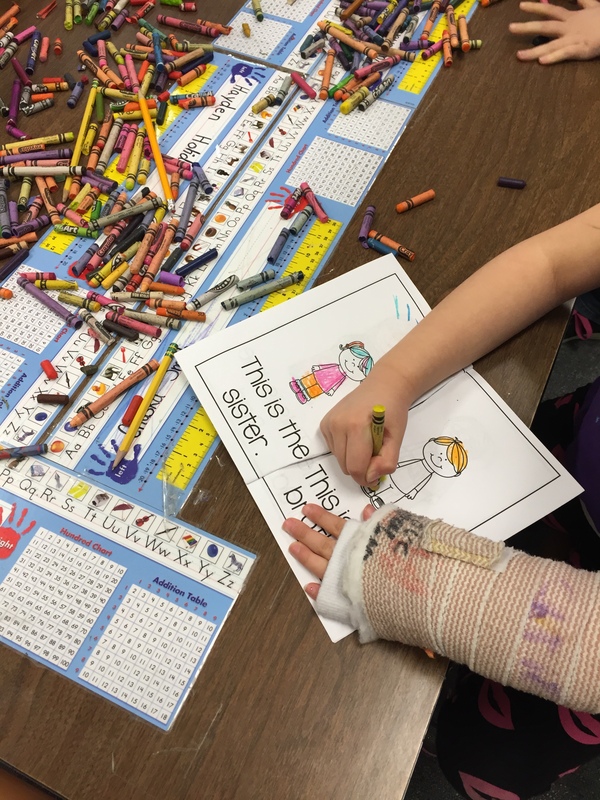 Students discussed what they wanted to be for Halloween. 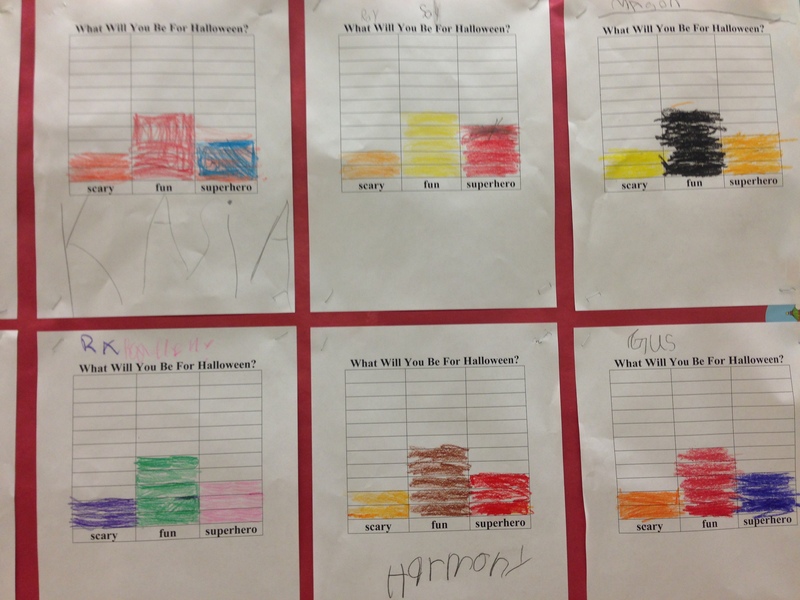 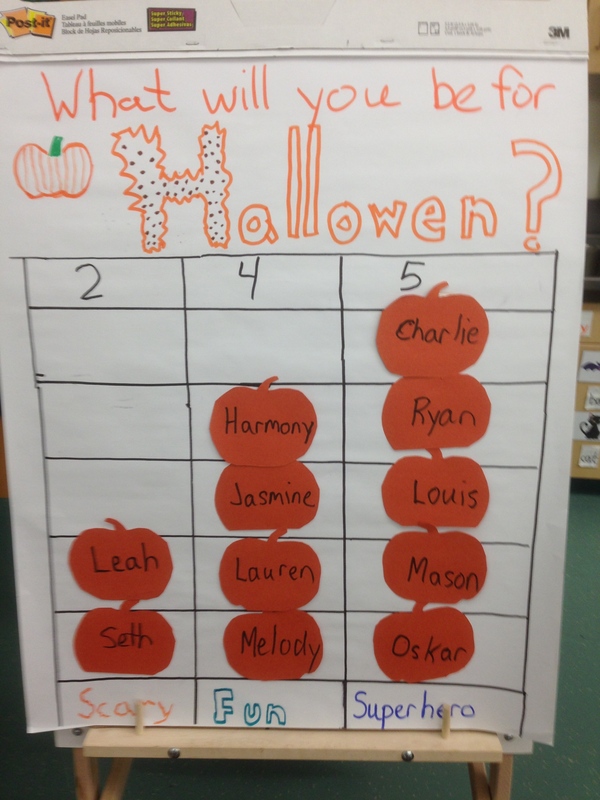 As a class we created a bar graph displaying what they’d like to be for halloween. 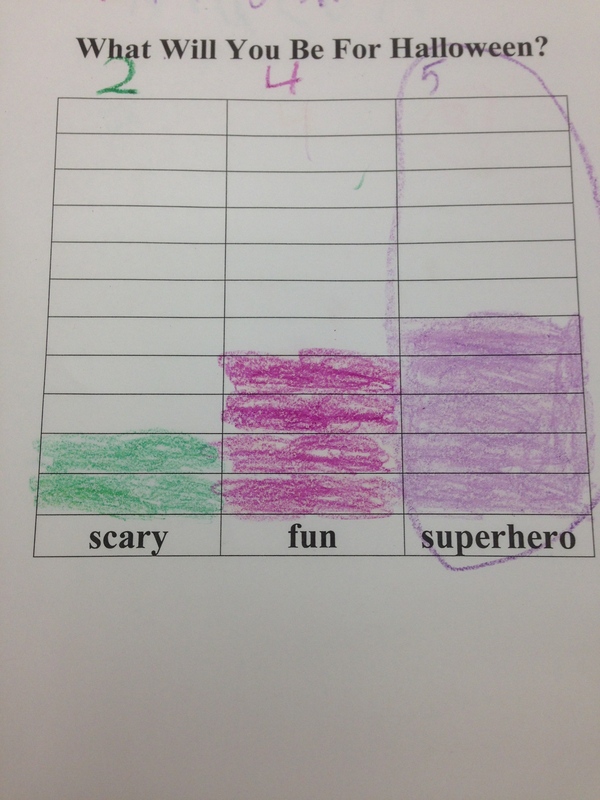 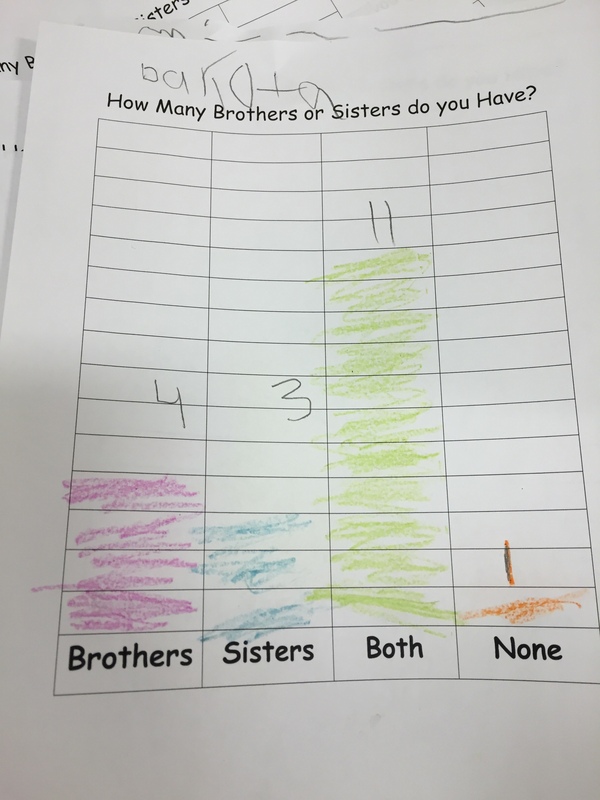 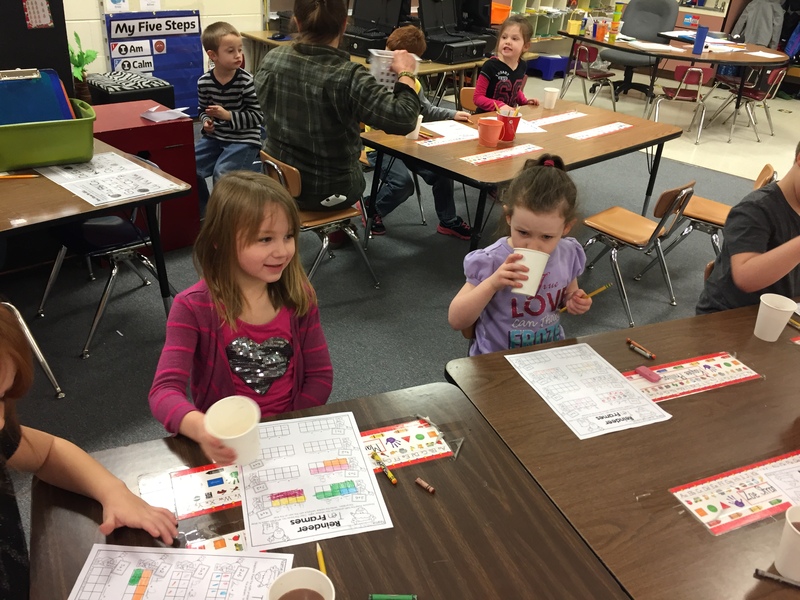 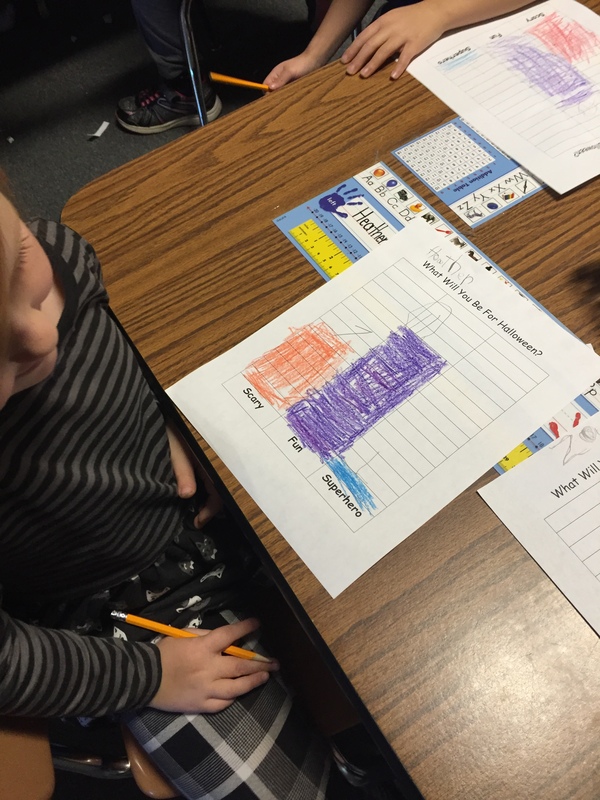 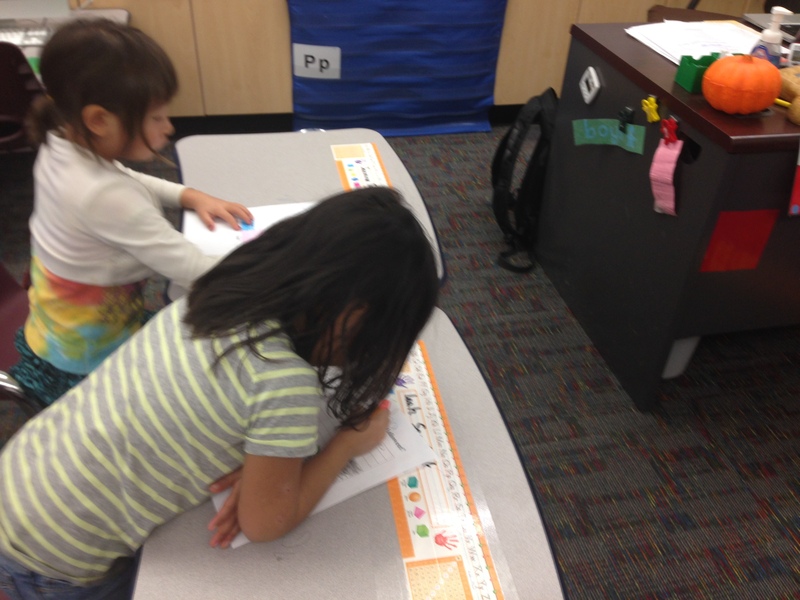 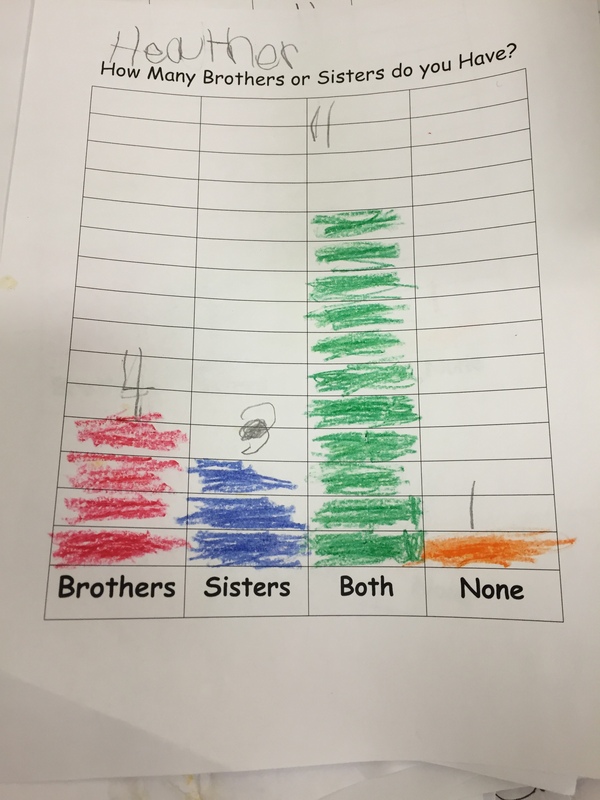 Student’s copied the class bar graph individually and described what category was picked the most.